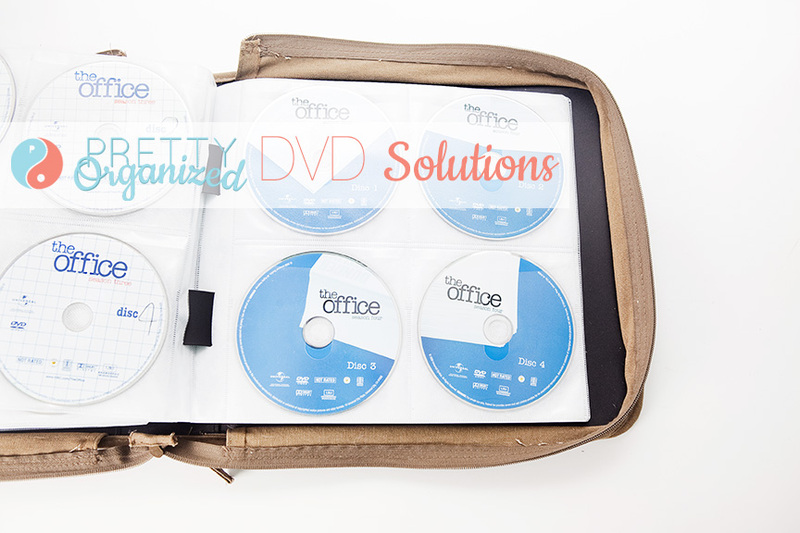 Home › Organizing › Blog Feature: I Heart iHeart Organizing! Hi guys!! I have to tell you, I am seriously floating on Cloud 9 right now. One of my favorite bloggers on earth, Jen Jones of IHeart Organizing, has graciously chosen to feature me on her blog!! You can click here to check out some of the tips she’s sharing about how to organize your life right now! If you want to know a little bit more about me, you can read all about it here (because I know you’re just dying to hear me talk about myself, haha!). I would also love to connect with you on Twitter, Facebook, and Pinterest — give me a shout anytime! Super Simple DIY: Hair Clip Repurposed as Cord Organizer This organizing tip pulls double duty: keep your cord tangle free & always have a hair clip when you need it! 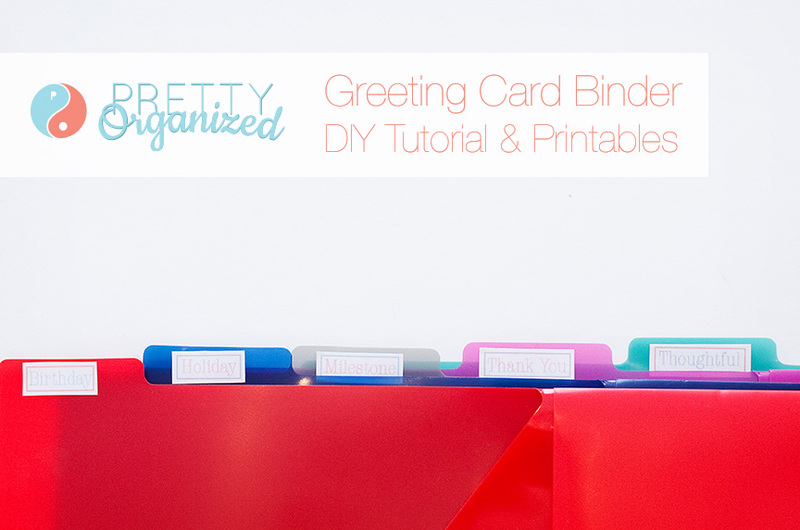 Greeting Card Binder with Printable Labels How to organize all of your greeting cards & never miss another birthday! 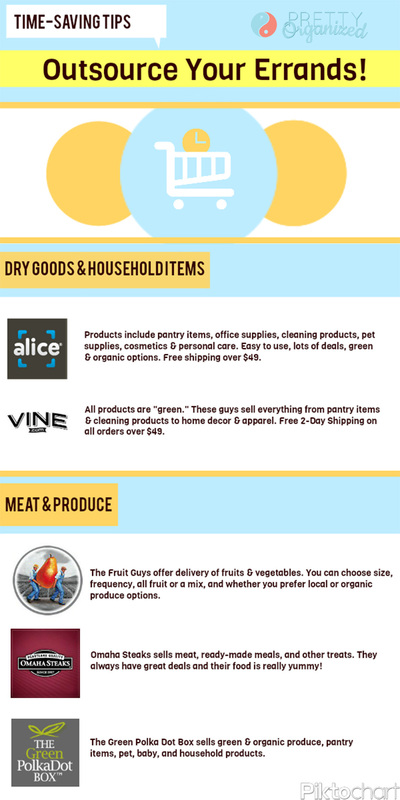 Outsource Your Chores: How to Save Time & Order Groceries Online Seriously, these easy time management tips cut my errands in half! Stylish Small Space Shower Storage Looking for storage ideas for small spaces? Check out this tip & learn how to organize your shower once and for all! And just in case you haven’t heard of Jen’s amazing blog, please make sure to check her out & send her some love over at IHeart Organizing! She is absolutely amazing — get ready for some serious inspiration! Stay tuned for more small space decorating ideas for the holidays, a beer-ganized storage solution, and DIY furniture that transforms more than Optimus Prime! What are your favorite organizing projects? Where do you find your inspiration? 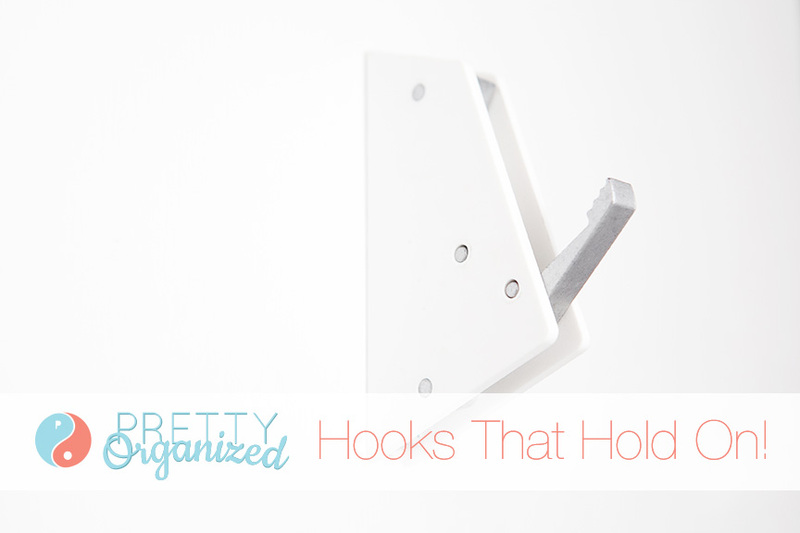 I found your blog through Jen at I heart Organizing and love the idea for the flat iron cord. 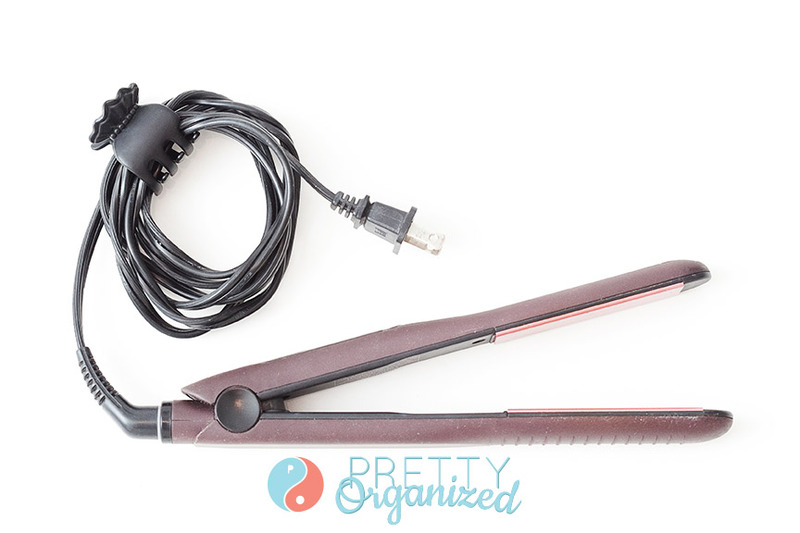 I am always looking for those types of clips to use when I am straightening my hair and now I won’t have to look for them – they will be on the cord! Thanks. Haha, yeah, I was pretty excited about the double-duty aspect of that idea! Glad to help — thanks for visiting! Hi Rashelle! Thanks for stopping by! 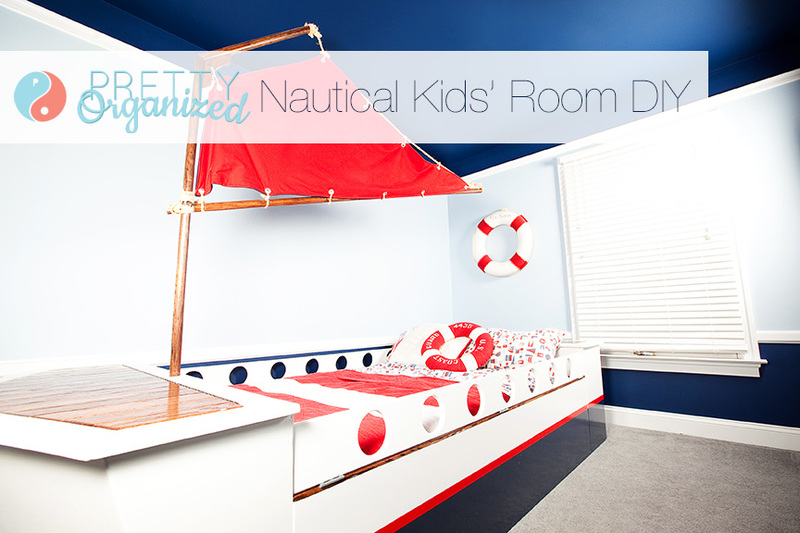 Came over from IHeart Organizing…and was immediately hooked! What a great site! Aww, thank you so much, Regina! I really appreciate it! casey, i just found your blog today (but i’ve been a fan of your photography for a long time!). fell in love with the shower storage posted above, so i stopped by dollar general today to grab one (thanks to the previous poster for that tip…i love that i could swing by & pick one up on the way home from dover today instead of waiting on amazon to deliver it!). came home & organized the girls shower in less than 90 seconds. yay!!! Woohoo!! So glad it worked for you! I may have to go raid the dollar store for a few more projects soon! If you don’t mind sharing a photo on the Pretty Organized Facebook page, I would love to see how it turned out! Congratulations on your IHeart Organizing post! I just love your posts and pics. See you again soon!